Need something to do this summer in New York City, NY that won’t put a dent your wallet? Welcome to the free NYC park series for the summer of 2018. It’s all about the DJs at NYC Summer Park Jams with Tools of War! Grassroots Hip Hop can’t wait to bring your favorite DJ friends to rock the Bronx and Harlem parks with Funk, Rare Groove, Soul, Go-Go, Salsa, Boogaloo, Classic Rock, Electro, Soul, Disco, early Hip Hop, Classic Soul and more! 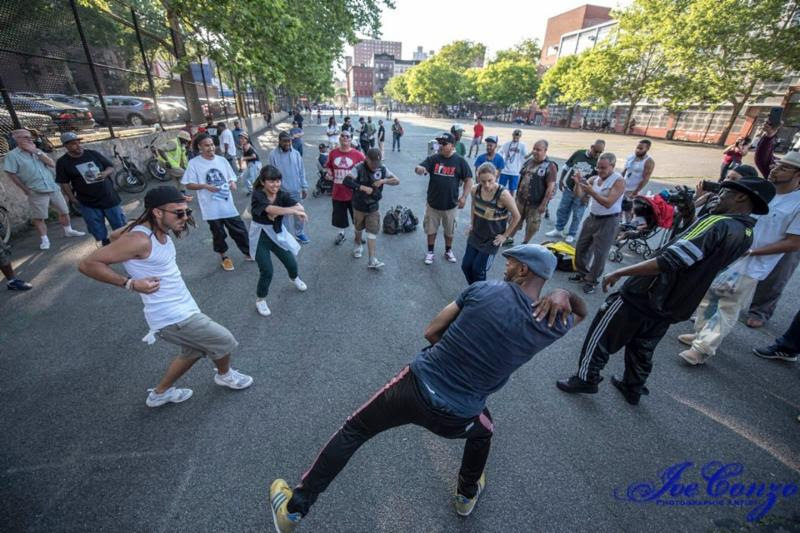 The park jams have become the most significant ongoing series where Hip Hop legends, pioneers, battle champions and highly respected DJs play quality music for a family friendly environment. Events are frequented by local communities as well as extensive global guests and practitioners of the culture. Our jams are the closest you will get to experiencing 1970s & 80s Hip Hop outdoor parties where the vibe was inclusive to all the elements of the culture. Here’s the schedule for July and August, don’t miss out! Join the Facebook group to stay updated on the latest, share, tag yourselves in pics and more summer fun. July 26: GrandMaster Caz, DJ Johnny Juice & more TBA! Every Thursday in July from 4 p.m. to 8 p.m.
Free for all ages! Take the 2 or 5 train to 174th St. Strictly pioneers and legends on the line up DJing at our biggest jam of the summer! St. Nicholas Park 135th & St. Nicholas Ave – Harlem. Every Tuesday in August from 3:30 p.m. to 7:30 p.m.
Free for all ages. Take the B or C train to 135th St. Record Collectors, Legendary DJs and producers spin their rarest, funkiest vinyl and tracks. Line up TBA.